Recycling Works: Are Garden Hoses Recyclable? 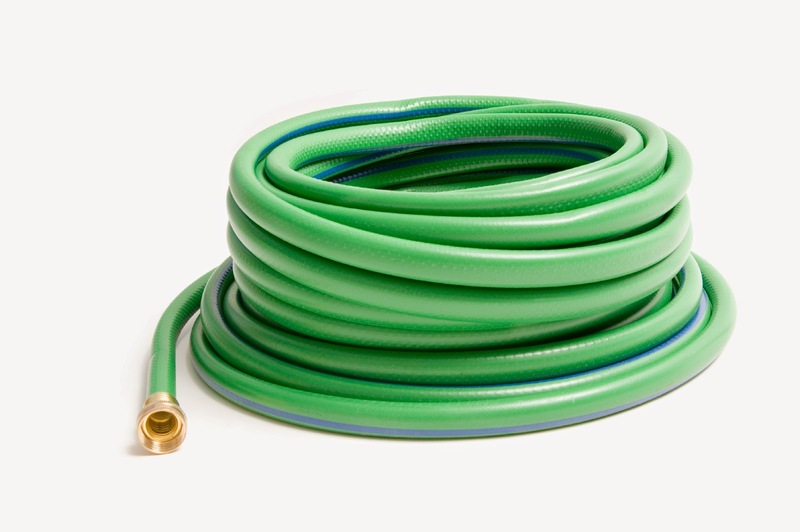 Most garden hoses are typically made of PVC (polyvinyl chloride), or polyurethane, synthetic rubber, nylon, or soft plastic and reinforced with an internal web of fibers. As a result of these materials, garden hoses are flexible and their smooth exterior facilitates pulling them past trees, posts and other obstacles. It's also possible that they are made of a combination of these materials, along with aluminum, plastic, and rubber in the form of washers and connectors. The use of metal filaments embedded in the material gives the hose additional strength while not compromising the flexible nature of the device. Because hoses are a combination of so many types of materials, it is virtually impossible with the recycling processes that are available to include garden hoses in Single Stream recycling.